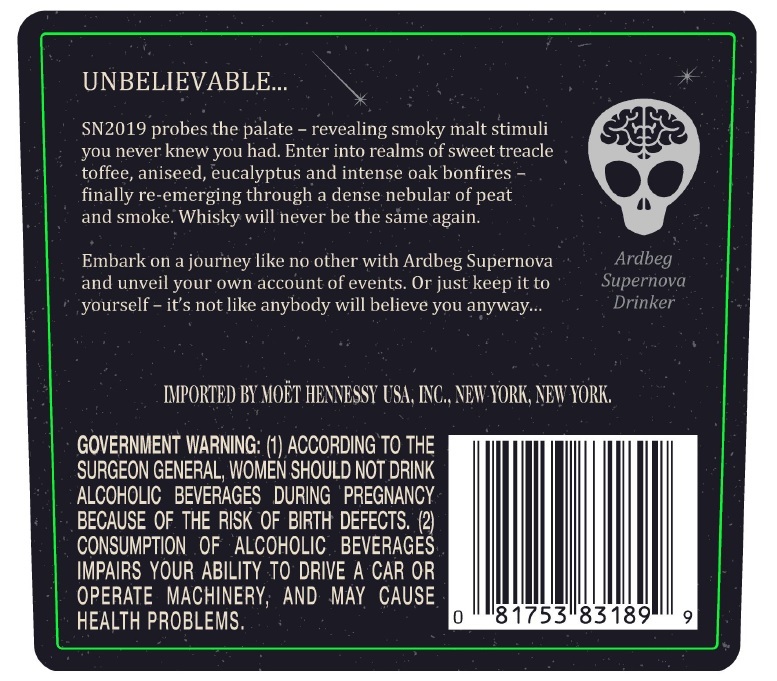 Ardbeg Supernova returns to planet Earth in 2019 with a Committee Release to "transport your tastebuds to peaty parts unknown". Discover thick clouds of aniseed, menthol and soot. 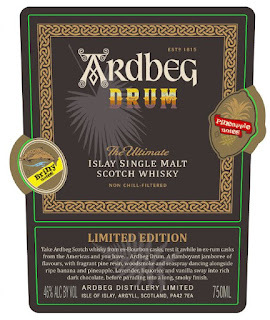 Travel further and marvel in fierce explosions of fennel, charred oak and birch before your voyage culminates in an almost eclipsing wave of peat and smoke. SN2019 probes the palate - revealing smoky malt stimuli you never knew you had. 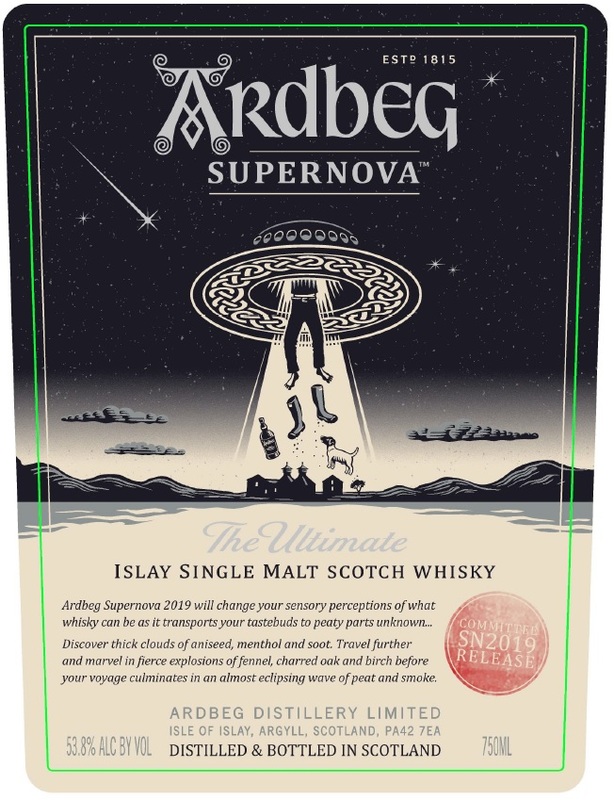 Enter into realms of sweet treacle toffee, aniseed, eucalyptus and intense oak bonfires - finally re-emerging through a dense nebular of peat and smoke. Whisky will never be the same again. 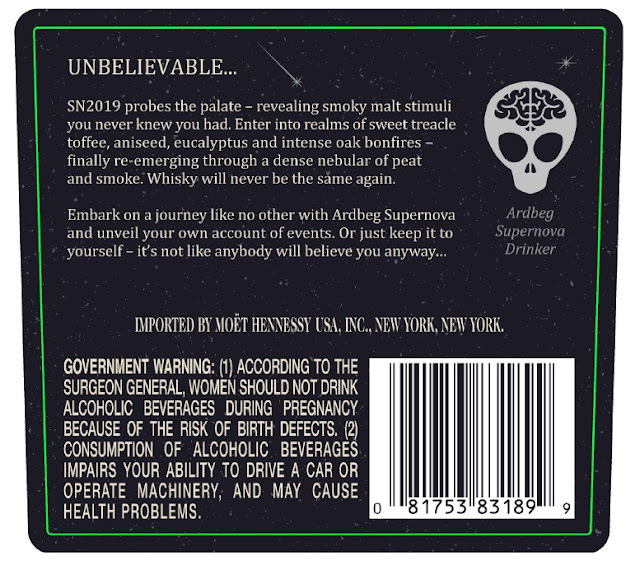 Embark on a journey like no other with Ardbeg Supernova and unveil your own account of events. Or just keep it to yourself. It's not like anybody will believe you anyway. 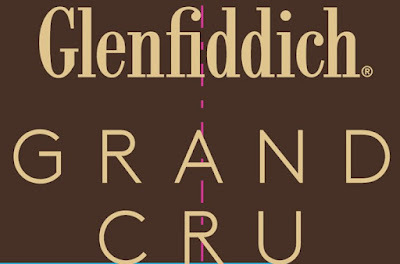 William Grant & Sons prepares a 23YO wine cask finish. 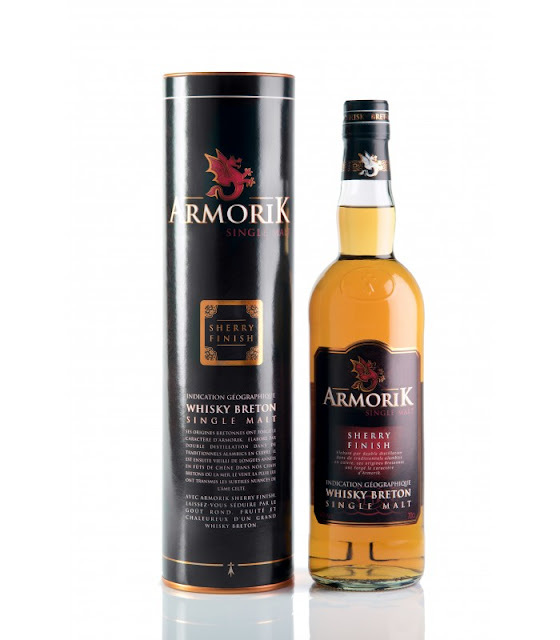 Nicknamed Grand Cru, it hints at the use of wine casks from a reputable vineyard. 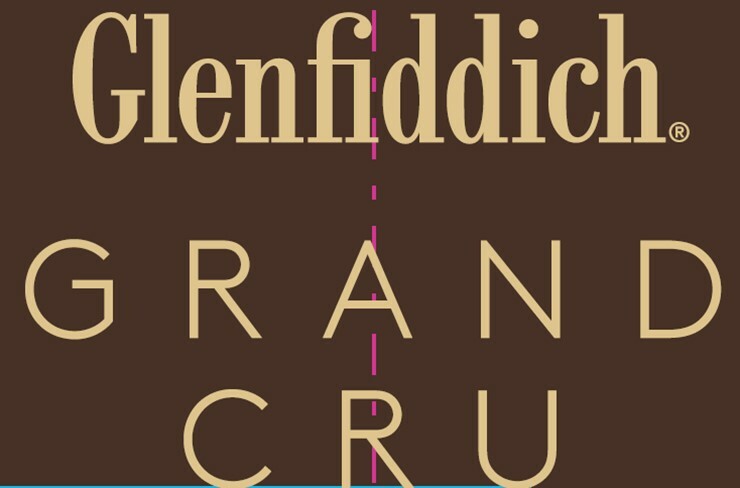 Grand Cru is a regional wine classification and the top appelation d'origine contrôlée (AOC) in wine regions such as Burgundy and Alsace. 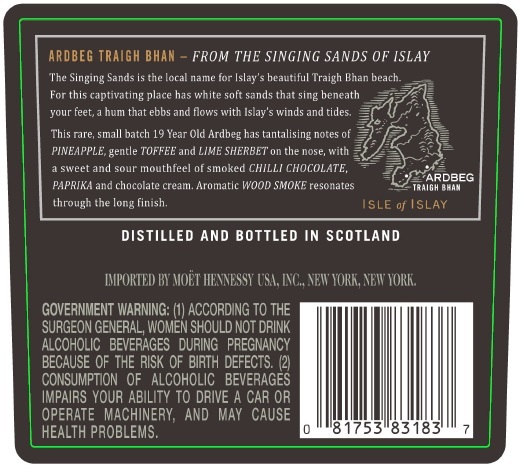 Neither one of the labels hints at the origin of the casks. So we'll have to wait for the full story behind this whisky. The Emerald Ile's National Holiday is approaching fast. 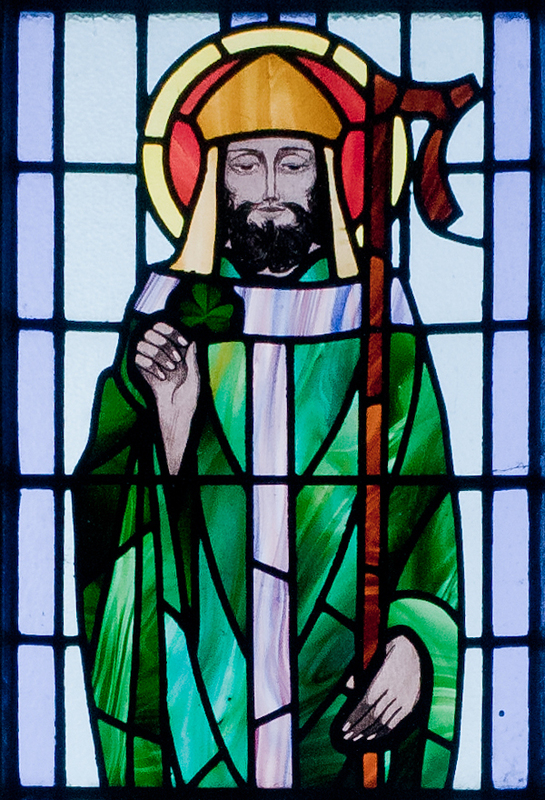 Saint Patrick's Day is a celebration of the heritage and culture of the Irish people who spread across the globe. 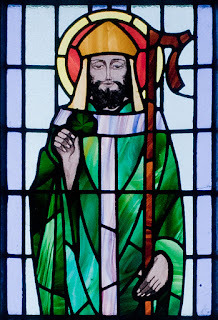 17 March is the death date of the Christian missionary Saint Patrick who converted the Irish pagans to Christianity. One of the symbols he used to explain the Holy Trinity to them was the shamrock. The shamrock (and everything green) became the symbol of Saint Paddy's Day and by extension of Ireland itself. 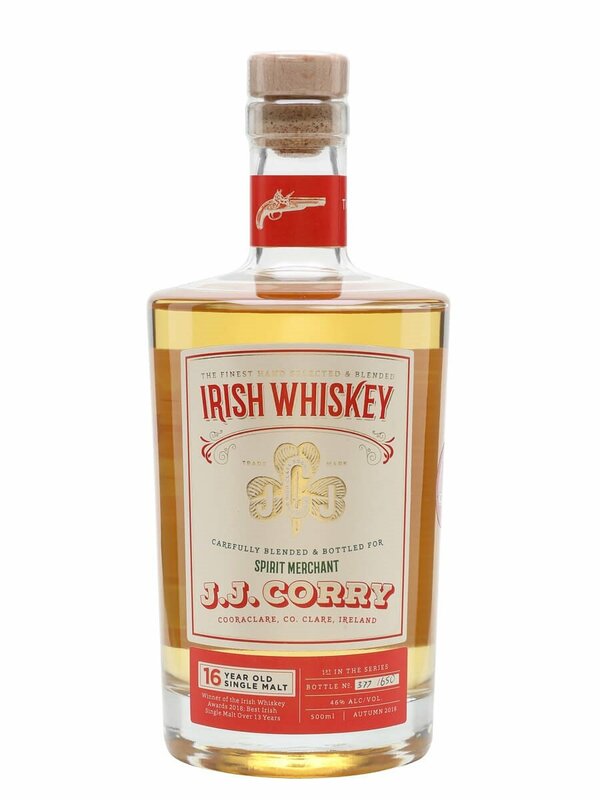 I selected 10 Irish whiskeys, pot stills, single malts, blends and single grains, to make the most out of Saint Patrick's Day. Let's pour a whiskey. With an e! 2018 marked the revival of one of Ireland's legendary whiskey brands: Red Spot. After reviving Green Spot and Yellow Spot, Mitchell & Son brought back Red Spot, a 15YO single pot still whiskey. 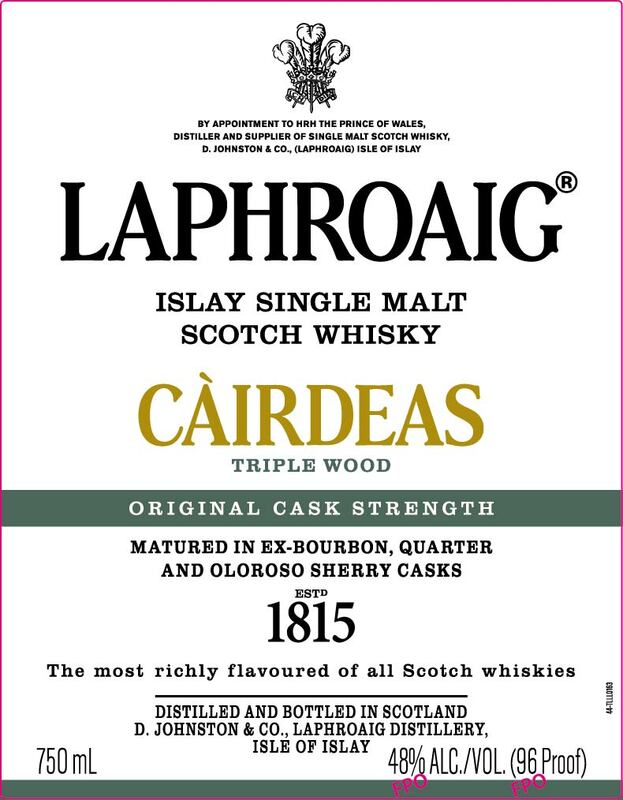 The names originated from the practice of marking casks with a certain colour to identify its ageing potential. Price: €115. 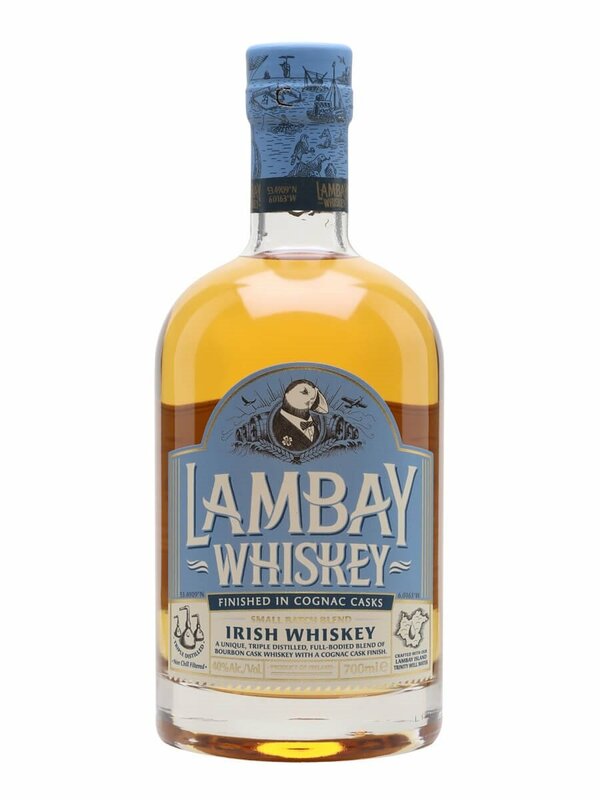 This brand of Irish whiskey matures on the privately-owned Lambay Island, a few miles off the Dublin coast, and this blended whiskey was finished in casks from Cyril Camus, owner of the cognac house Maison Camus. Price: €42. 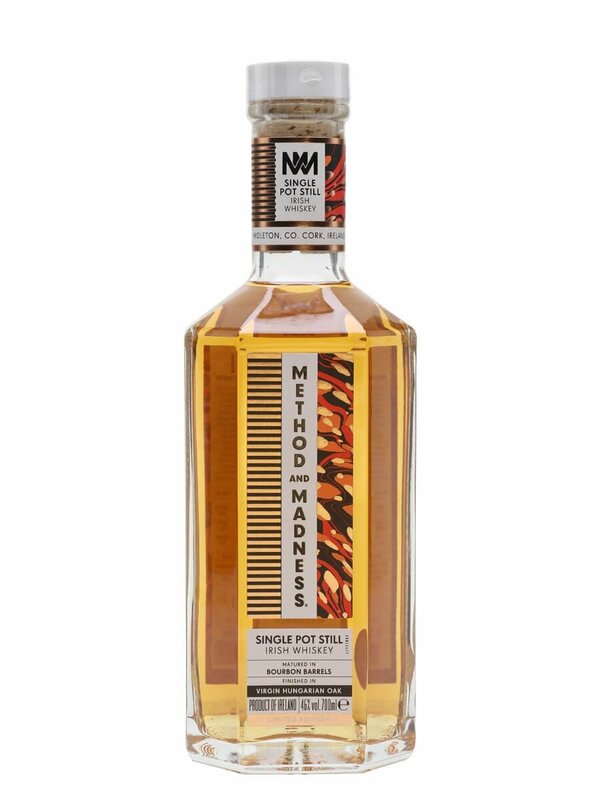 The micro-distillery from Midleton released this peculiar cask finish in 2018. The single pot still whiskey matured in ex-bourbon casks en was finished for 11 months in Hungarian (Quercus petraea) Virgin Oak casks. Price: €89. 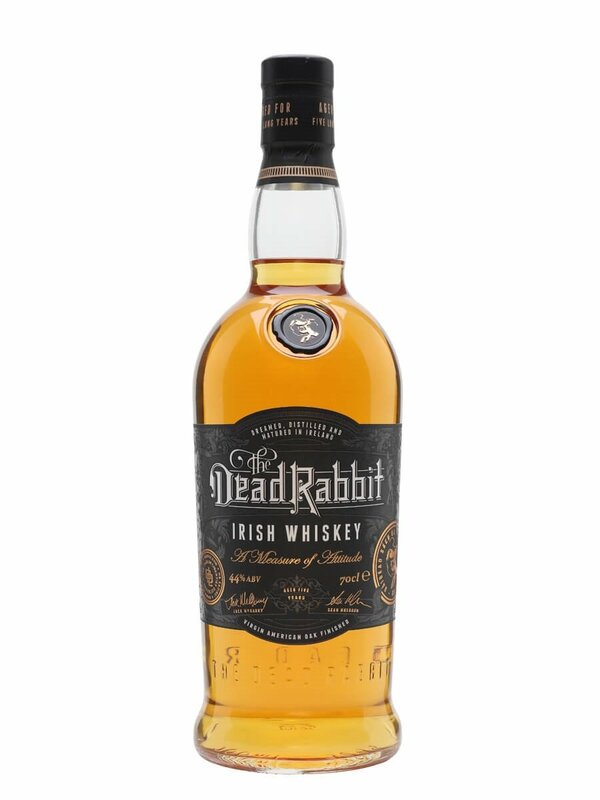 The Dead Rabbit Irish Whiskey is a creation by the Dublin Liberties distillery and the New York Dead Rabbit Saloon cocktail bar. This 5YO blend of malt and grain whiskies matured in ex-bourbon casks and was finished in virgin oak casks. Price: €48. 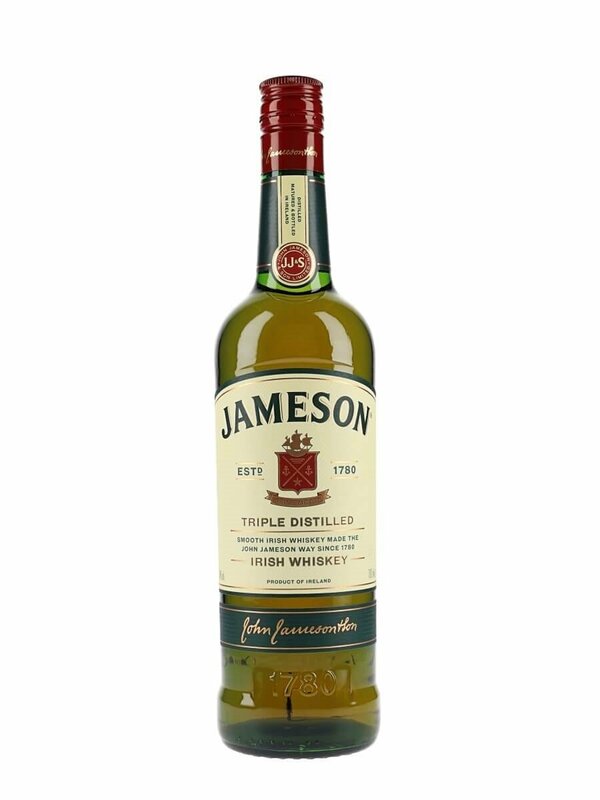 Jameson Caskmates is a collaboration between the Irish whiskey brand and the Franciscan Well brewery. 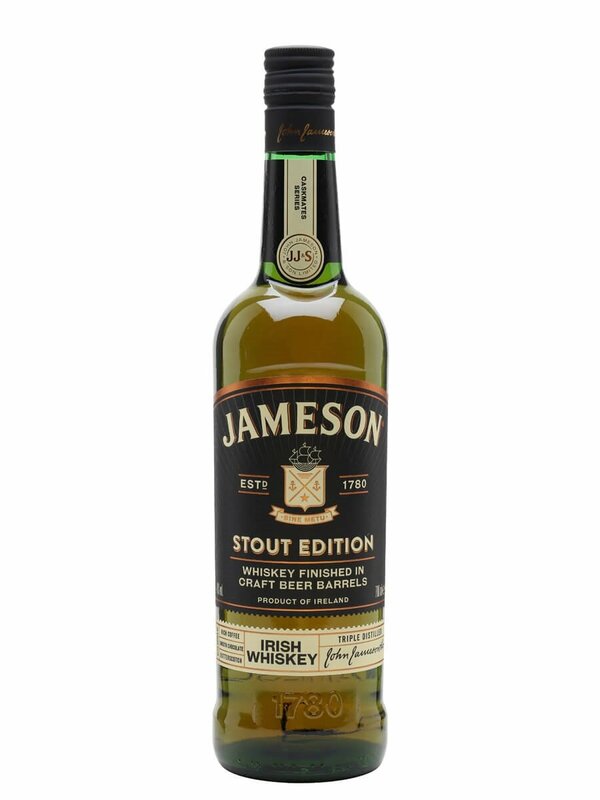 The brewery could use some casks to mature stout beer before returning them to Jameson who used it in the Caskmates project. There is also an IPA edition. Price: €32. 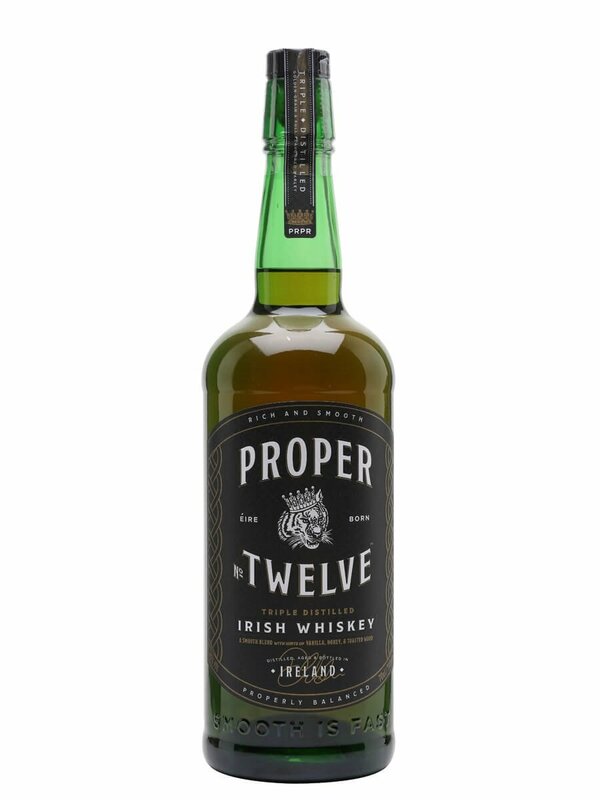 Another new Irish whiskey brand and one that has been promoted by MMA fighter Conor McGregor. Some claim it was co-created by him. 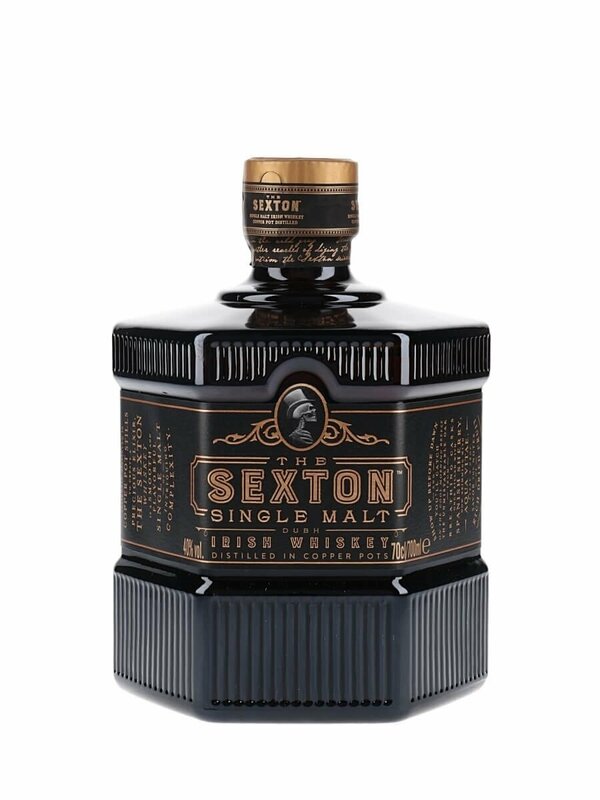 I'd say he tied his name to it to drive sales of a basic blended whiskey. You want a real season to buy a bottle? $5 of each case sold goes to first responders organisations. Price: €34. 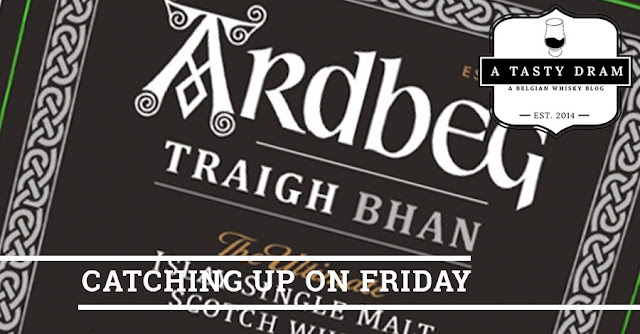 What's your preferred Irish tipple for Saint Paddy's Day (or any random tasty dram day)? Let me know in the comments! I'll try to get you up to speed in less than two minutes on the latest whisky news, rumours and interesting blog posts from the past week. 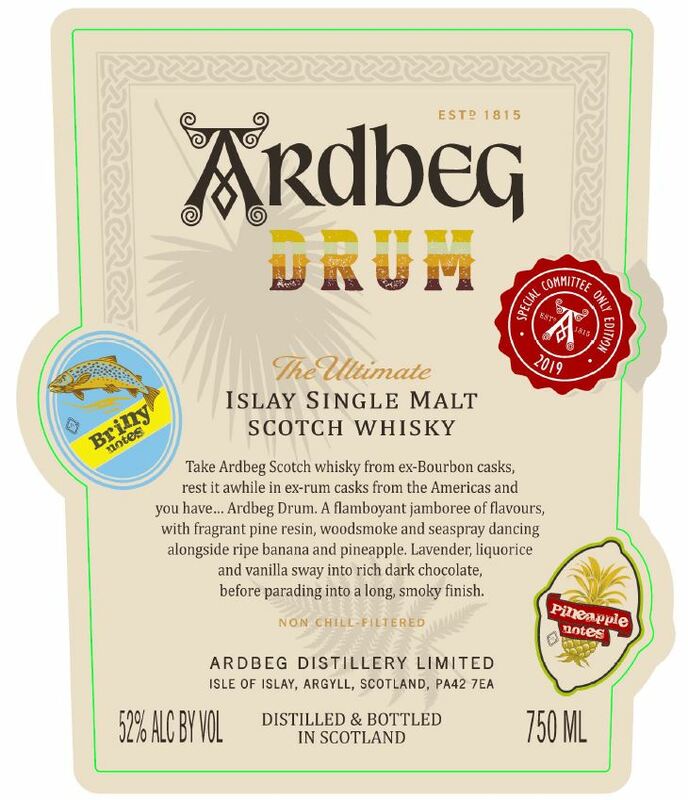 The popular big fat list of Feis Ile - The Islay Festival of Malts & Music - special releases returns! 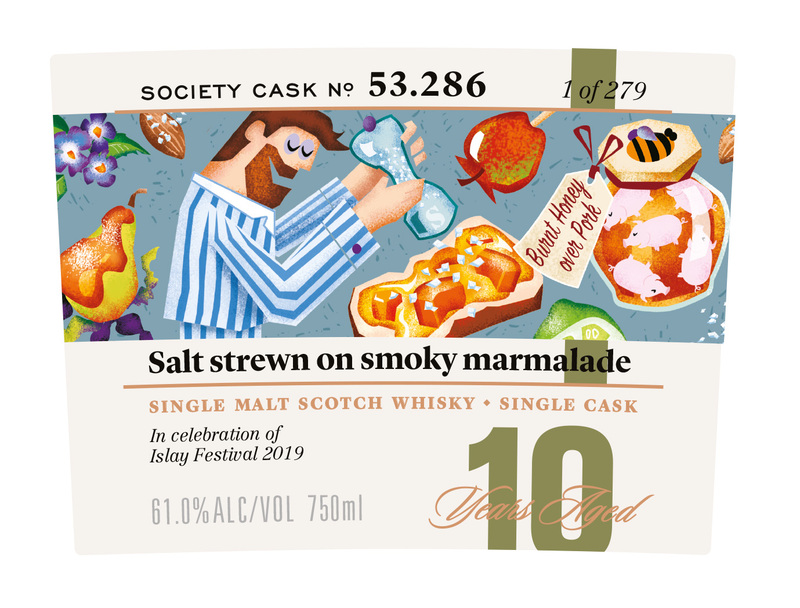 The independent bottler SMWS already has plans to bottle a 10YO Caol Ila for Feis. R&B Distillers had very big plans in 2015. They wanted to build not one, but two distilleries. One was to be located in the Scottish Borders and another one on the Isle of Raasay. 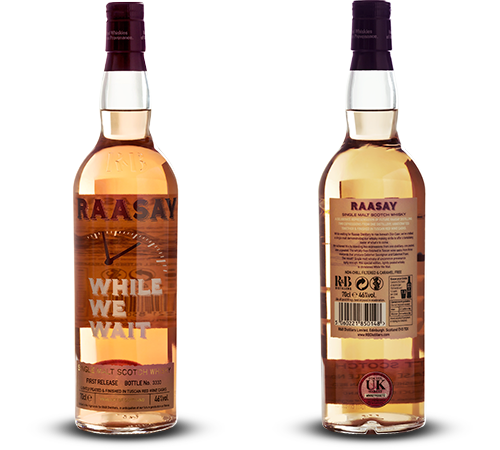 The Raasay Distillery is already producing and will release their first whisky in 2020. 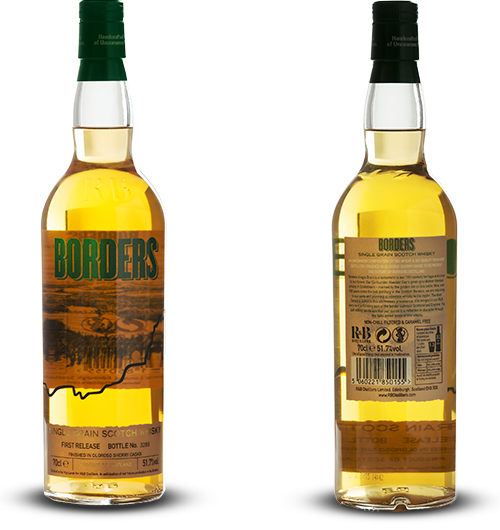 The Borders Distillery was to be located in Peebles, but the whole project has been shelved to focus on the Raasay production unit. 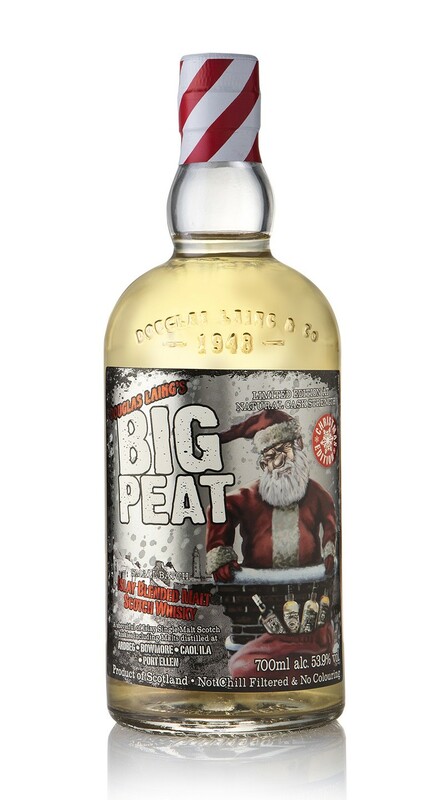 Douglas Laing's Big Peat annual festive bottling this year shows our trusty fisherman dressed in Santa Claus outfit, ready to descend a chimney on “his” island home of Islay. 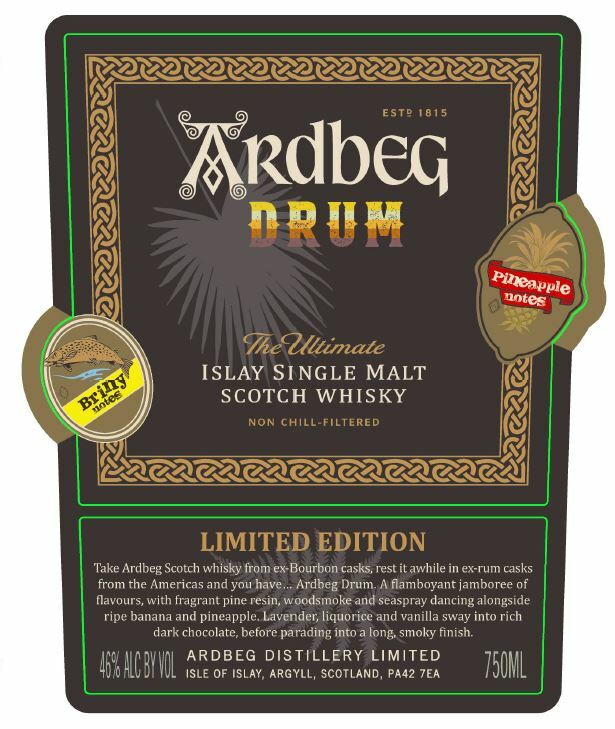 The Christmas Edition is a cask strength version of the classic Islay blended malt. Colour: Light gold. Oily beads transform into thin and fast legs. Nose: Sweet smoke. Smoked halibut. Preserved lemons and salty sea air. Wood stain mingling with earthy flavours. Wet moss, aniseed and fennel. Beef jerky. Pinewood and resin. White chocolate, pineapple and BBQ smoke. With water: BBQ ash, salsify, butter and bacon. Taste: Dry and tingling on the tongue. Wood smoke and violet (Hello Bowmore!). Aniseed and fennel seeds. Coriander and charcoal. Roasted pine nuts. Lavender, juniper berries and wine gums laced with peat smoke. With water: BBQ fat and canned fruits. 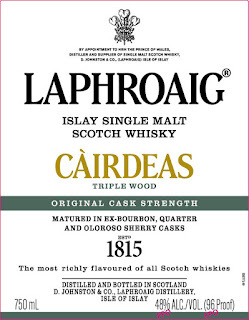 Finish: Warm, smoky, peppery. Smoked paprika and juniper berry. Big Peat's festive edition is a classic peat fest. 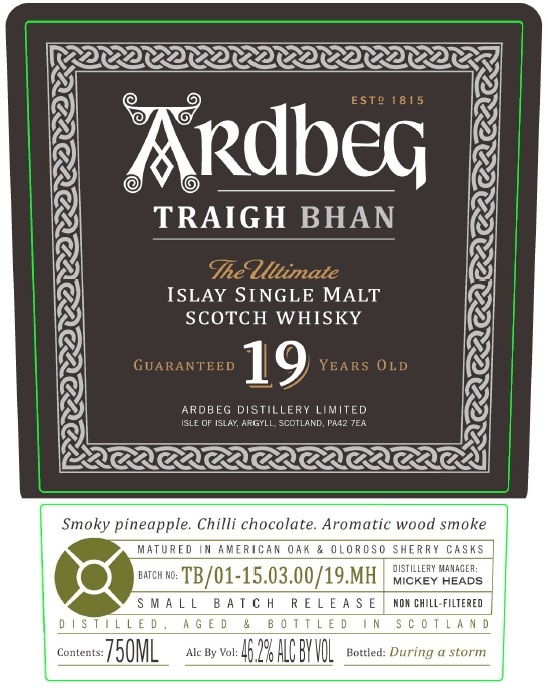 I could elaborate on the subject but the message is fairly simple: make sure there is a Big Peat Christmas Edition under the Christmas tree. This is classic Big Peat. Smoky and meaty but nevertheless well-balanced. Our fisherman in Santa attire will never give false promises: a shovelful of Islay single malts from Caol Ila, Bowmore, Ardbeg and (a teaspoon of) Port Ellen.